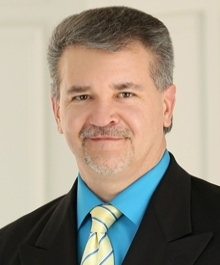 Dave Sullivan graduated from Western Michigan University in 1989 with a bachelor’s degree in Finance. He started in the mortgage industry as a loan officer in 1991. Less than one year later started selling credit reports to Mortgage Companies, Banks and Credit Unions. On September 19, 1997 he started AIR Credit Midwest out of his car. Over the next two years Air Credit Midwest grew to a multi-million dollar company. In 2000 he was approached by one of the largest credit reporting bureau’s in the nation to purchase AIR Credit Midwest. He sold it and worked for that company as Sales Manager of the Michigan and Ohio market for the next ten years. During his career in the credit industry he has personally reviewed thousands of credit reports and credit scores. In 2008 he started buying homes to rent and built up a portfolio of 9 homes. After the market turned around he started selling the homes and currently has three rentals in Michigan and one in Canada. I bring a unique investors perspective to home shopping even if you are shopping for your own home.